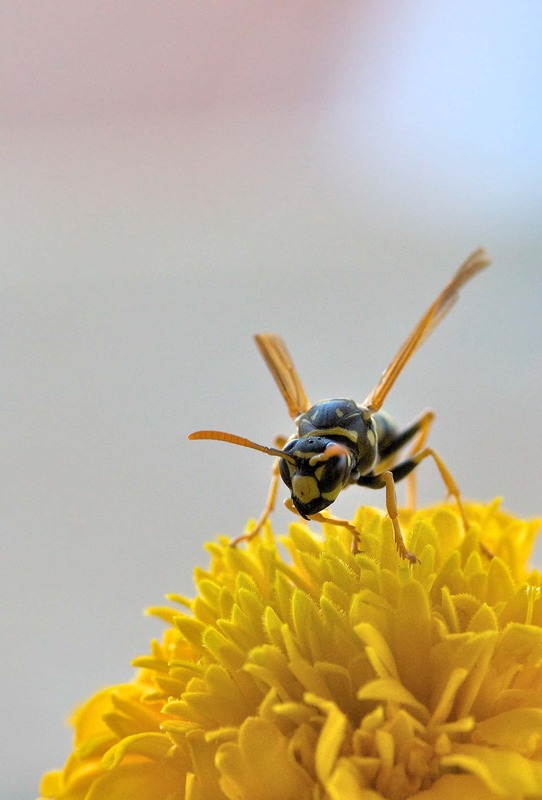 The most unwanted visitor at the Aussie barbeque, the European wasp (Vespula Germanica) became known for hiding in soft drink cans at outdoor social events. With a potentially fatal sting and highly aggressive demeanour, this introduced species has earnt its bad reputation, making it one of Australia’s most disliked insects. The European wasp was introduced to Tasmania in 1959 and found its way to the mainland in the late 1970s. As the warmer climate extends the life cycle of this species, and a lack of native predators increases its chance of survival, European wasps have become infamous in Australia for very good reason. Due to Australia’s unique conditions, this introduced species has been known to build nests four times larger than those found in Europe! So, how do you spot a European wasp? The wasp itself is approximately 13 mm in length and is typically black and yellow in colouring. Its only distinguishing features are three tiny black dots on its face, and black antennae. Unfortunately, this wasp looks much like other common and native wasps, including the paper wasp, yet it is a vastly more aggressive and destructive species that should be avoided at all costs. European wasps also pose an environmental hazard, as they prey on native fauna and insects and compete for nectar and food. As an introduced species, they remain unthreatened by their usual predators and pesticides, allowing them to flourish. The European wasp has been known to kill pets and even livestock, raid beehives for honey and bees, and decimate grape and fruit crops. But it is the European wasp’s aggressive demeanour and potentially fatal sting that has stirred the most fear. When a bee stings, its stinger remains in the skin; in comparison, the European wasp can sting repeatedly without dying. It also emits a scent that alerts other wasps to attack. This sharp sting is followed by a deep pain and inflammation; however, more serious repercussions are possible, with one in ten people being allergic to the venom. This can lead to a life-threatening allergic reaction known as anaphylaxis. Should you find a European wasp nest on your property, do not attempt to remove it yourself under any circumstances. Call Ben on 0437077792 for fast, safe and reliable removal in Melbourne or regional Victoria.